I'm a winter baby (born in December) so I never really mind winter, I actually enjoy the excuse to bundle up and spend cosy nights indoors - I feel like it's far more acceptable to throughout the winter than the summer. I would always choose to be too cold than too warm, there's nothing I hate more than being too hot! Not one to wish winter away ever but today I'm really feeling done with the season. Typing away from my sick bed, I genuinely can't wait for warmer weather and spring to arrive! Fashion is so fast paced and forward thinking that more often than not big publications and fashion houses begin to plan and even showcase their spring/summer content in the depths of winter and this has naturally filtered through into blogs and into our wardrobes and makeup drawers. Have you been shopping recently and noticed that most high street stores are already filled with swimwear and skimpy shorts?... In February! Whilst we definitely won't be needing those at least for another couple of months, I think it's safe to say most of us are longing for winter to be over. 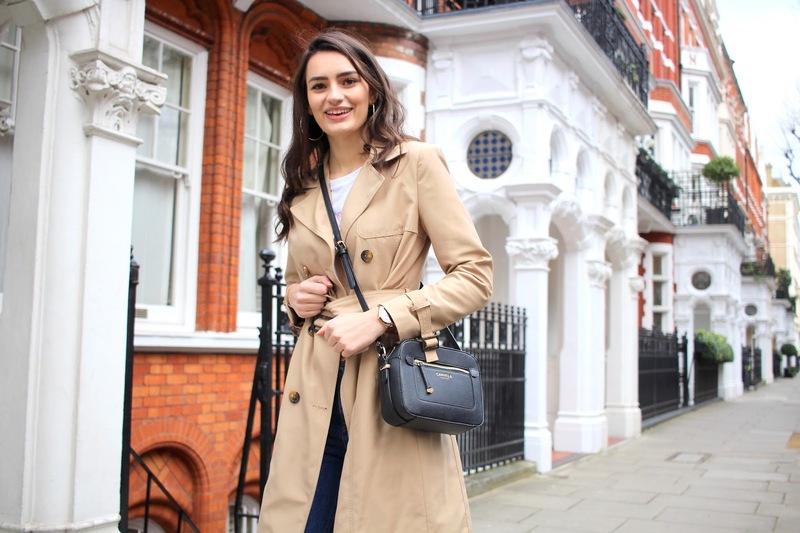 Now I wouldn't recommend wearing your spring wardrobe just yet (I'm definitely suffering with a nasty cold/sinusitis as a result) but there's nothing stopping you from buying some spring/summer pieces now. After all, there's so much on the high street already it would be rude not to. For me, this outfit instantly makes me think of spring thanks to the trench coat. 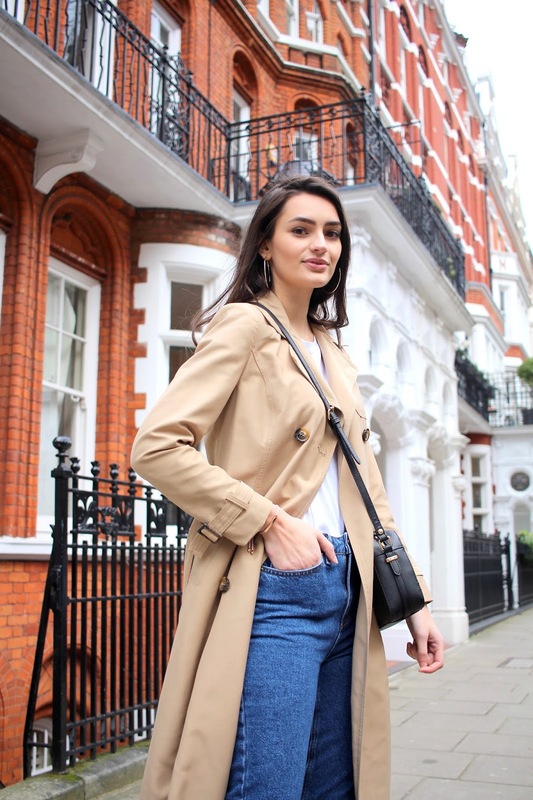 A trench coat is a classic spring piece in my opinion and whether you go for an expensive option or a more affordable alternative, it's a classic worth having. Mine is from New Look last year but they've come out with an identical version this year too - like I said, it's simply a classic! Underneath the trench I'm wearing a Tshirt, a gorgeous slogan tee from Next! It was far too cold to shoot it properly so it remains a bit of a mystery (in the meantime, check it out on Next's website to see it in all it's glory) but I'm sure you'll see it much more in the spring. 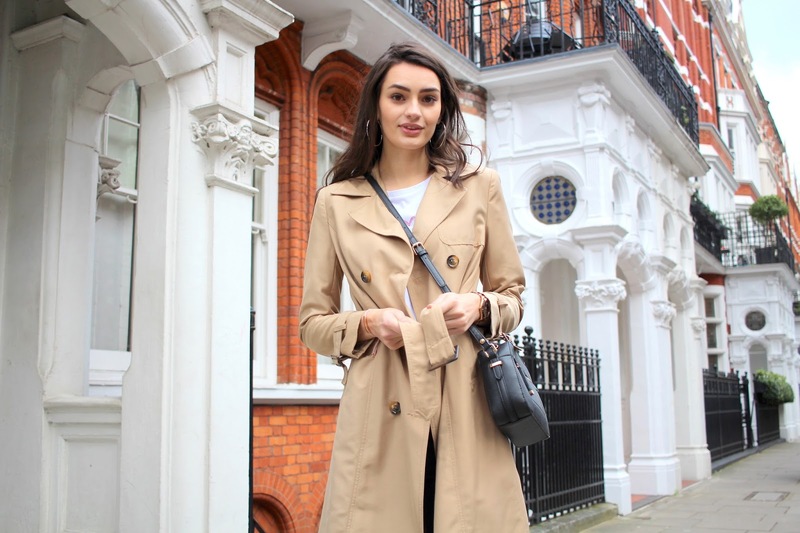 A transitional alternative would be to pair this trench over one of your favourite jumpers! 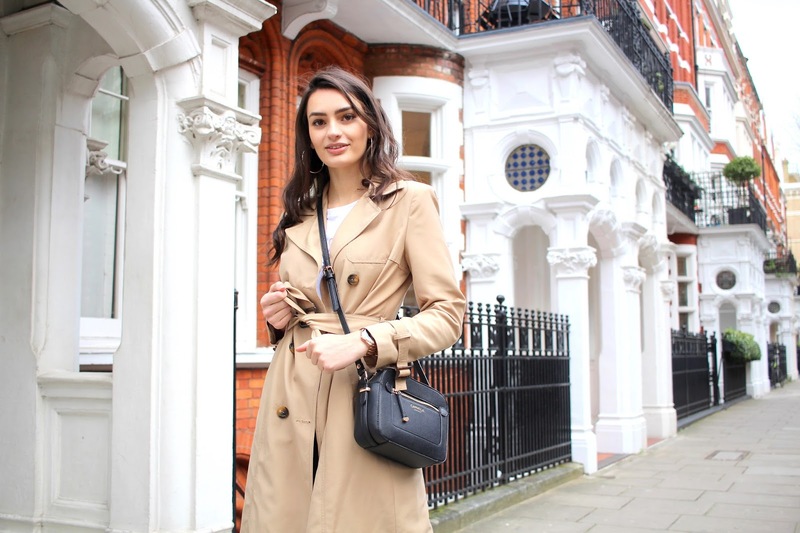 Or for the seriously cold weather that we've been having right now, you could even layer a wool coat over the top and use the trench as a quirky layering piece. I must touch on these boots because they're hard to miss. I've shared them a few times on my Instagram already and they are getting so much love from you! So naturally, it's only fair to dedicate a paragraph to them. 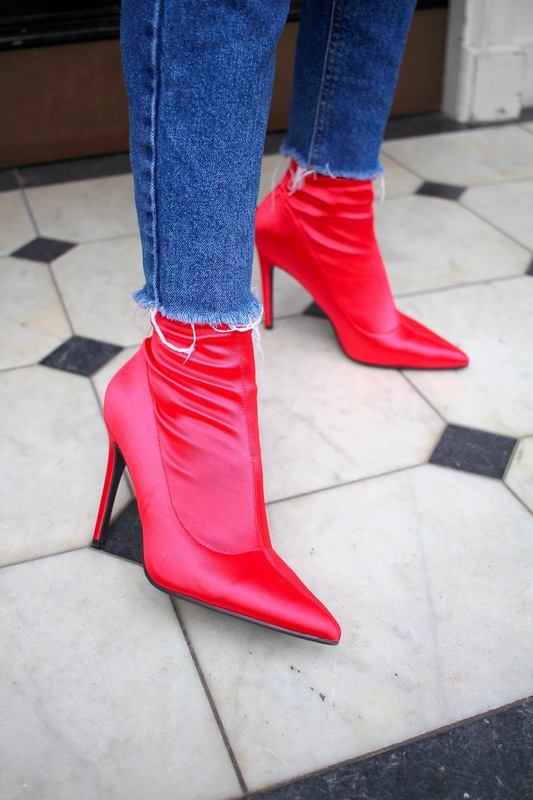 I'm pretty obsessed with the sock boot trend, particularly wearing them tucked under jeans like this, there's little to no skin on show and I personally think it looks super cool! & with that, I'm desperately waiting for spring to show its colours. I've already spotted some trees beginning to blossom (I'm all here for the gorgeous pink cherry blossom!) I'm ready for the influx of pastels, sunshine and hopefully not too many spring showers.